Bellator 219 will take place on Friday Night, March 29, 2019, from the Pechanga Resort & Casino in Temecula, California. This fight card will feature 15 fights on the card however there are only about 4-5 fights that we can find odds for from the event. 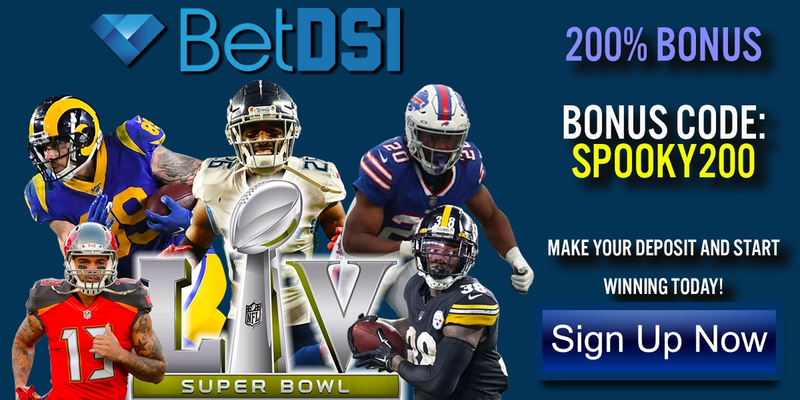 For this particular event, I personally recommend you looking at MyBookie, where they have some very attractive odds for us. Additionally, if you open an account today for MyBookie, and make a deposit, they will give you a 100% Sportsbook Free Play, up to $1,000 with promo code SPOOKY100. The fight that I am most interested in from Bellator 219 is Andrey Koreshkov and Mike Jasper in the Welterweight Division. This fight was originally scheduled to be Koreshkov vs. former UFC Veteran Lorenz Larkin but Larkin pulled out of the fight about a month ago and Jasper stepped up on short notice. Now, before I get all you guys jumping in and say that I am showing bias to Jasper in this fight, I want to make it abundantly clear that I am friends with Mike and managed him for some time a few years back. That being said, this has absolutely nothing to do with my handicapping of this fight. Now that I have that out of the way….let’s jump into the fight. Andrey Koreshkov enters the fight with a record of 21-3 overall and is coming into this fight off a 5-round Main Event bout with former Bellator Welterweight Champion Douglas Lima. Koreshkov did well in the fight but in the end, got caught in a rear naked choke and forced to tap in round 5 of Bellator 206. That was his second loss to Lima, who simply has his number in the cage. His only other fight in 24 professional bouts was against former Bellator Welterweight Champion Ben Askren. Bottom line, his only losses have come to two former Bellator Champions. Mike Jasper enters this fight off about a year layoff. He is 13-4 overall and comes in riding a 3-fight win streak. Jasper’s last loss was an absolute robbery by the judges, as he went and took on the hometown kid, Angel Deanda and lost a decision. I can tell you that I watched that fight personally 3 times in a 24 hour period and in no way shape or form do I come up with the same results as the judges. That being said, on his record, it shows a loss and there is nothing we can do about that. Prior to that, was one of the most impressive things I’ve seen from Jasper as he was in a 3 round war with prospect Brendan Kornberger, who many felt was on his way to the UFC. Jasper got hurt in that fight early but one thing that this guy has is the heart! He never gave up, he never backed down and in the end, he ended up getting a KO in the 3rd round! Now, you may be saying to yourself that knocking out a prospect on the regional level isn’t spectacular but when you take into consideration that this was at Middleweight, not Welterweight, makes you look at this in a different light. If Jasper has the power to knockout Middleweights, what makes you think he doesn’t have the power to knock out a Welterweight? Now, all that being said, when you look at his odds at MyBookie, you find he is sitting at +555. Yup, you read that correct, Jasper is +555 to win this fight. What am I missing here? Jasper is no slouch, is no cupcake pushover and I truly believe he lands one of those big overhand punches, he will put the Russian on his backside. I have Jasper pulling the big upset here and getting the win at Bellator 219.